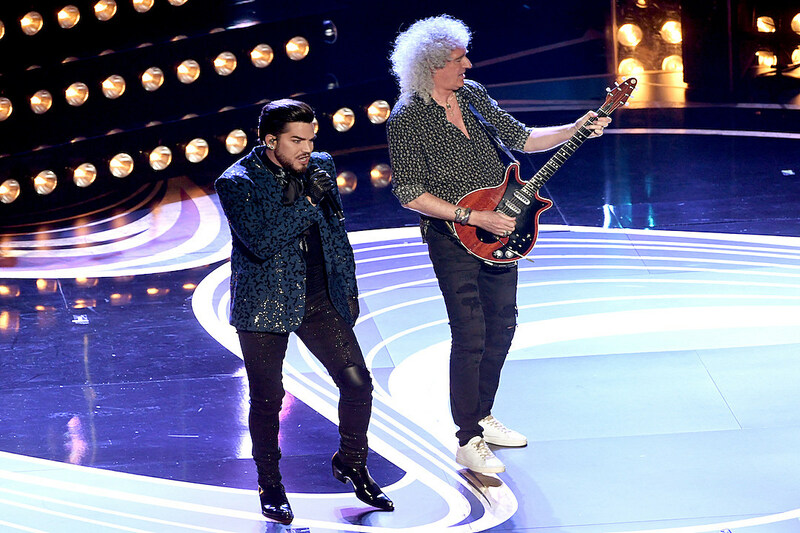 Adam Lambert and Queen opened the 2019 Oscars with a medley of the popular rock group’s hit songs. The group performed “We Will Rock You” and “We Are the Champions.” The performance included a tribute to Queen’s late frontman, Freddie Mercury, who died at age 45. Lambert took the stage wearing a blue velvet patterned suit that would have made the singer proud. Other performances will be delivered by Bette Midler, Jennifer Hudson, Lady Gaga and Bradley Cooper. Kendrick Lamar and SZA were expected to perform “All the Stars” from Black Panther, but declined due to timing and scheduling issues. Queen was the subject of the hit biopic Bohemian Rhapsody, which is nominated for five Oscars. The film is up for Best Picture, Best Actor, Best Editing, Best Sound Editing and Best Sound Mixing. It’s star, Rami Malek, is the favorite to win in the Best Actor category.